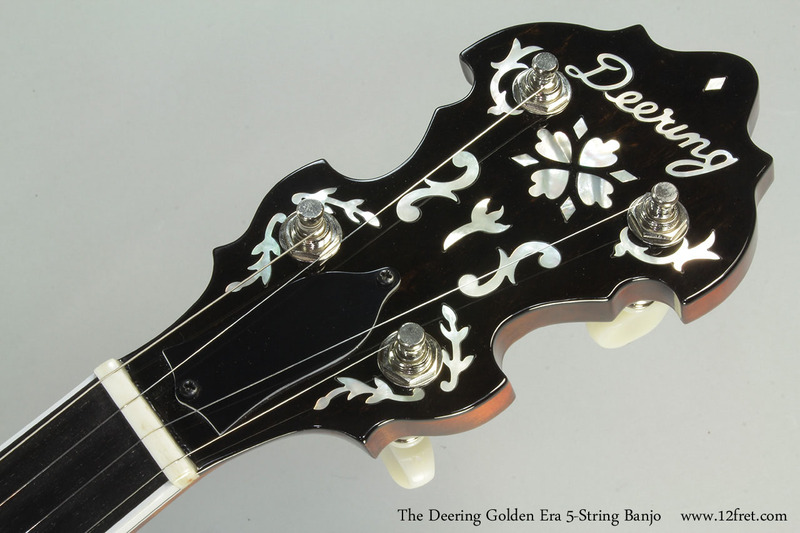 The Deering Golden Era banjo is an accurate reproduction of the classic banjos of the 1930’s made with the same materials and the same weight, design and features of the originals. It is comparable with competitive banjos costing considerably more and far more accurate to the original models than other current production banjos. 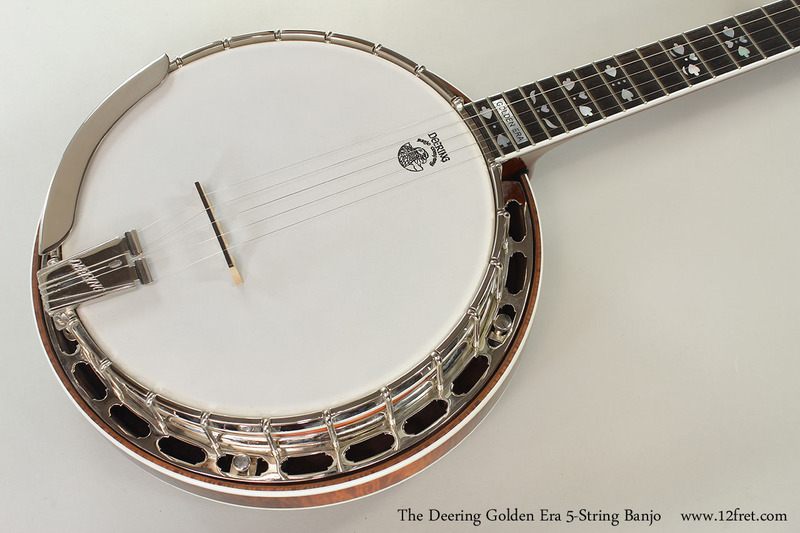 For the classic sound, appearance and feel of the prized banjos from the 1930’s, at a fraction of an originals’ cost, the Golden Era is the premier choice. The neck, resonator and three ply rim are all finished with Deering’s renowned cremona stained sunburst and super polished to a high gloss finish. 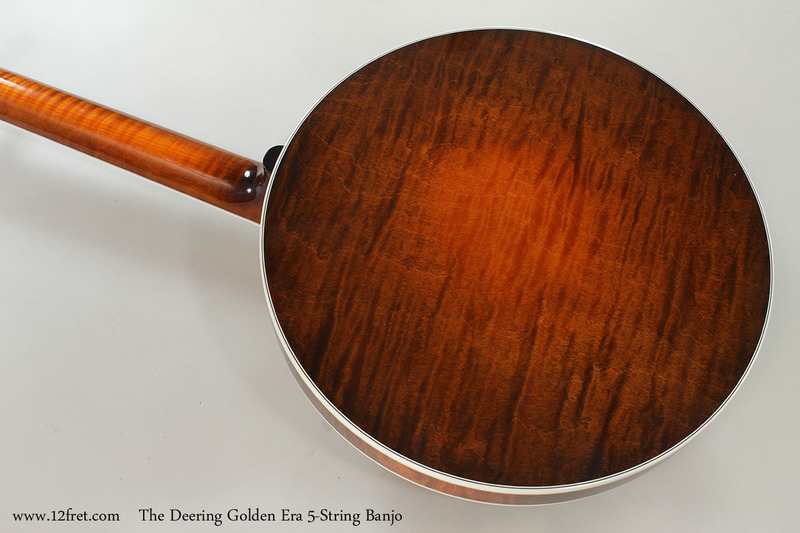 The lush, rich yet transparent staining process highlights the beautiful curly maple in the neck and resonator. 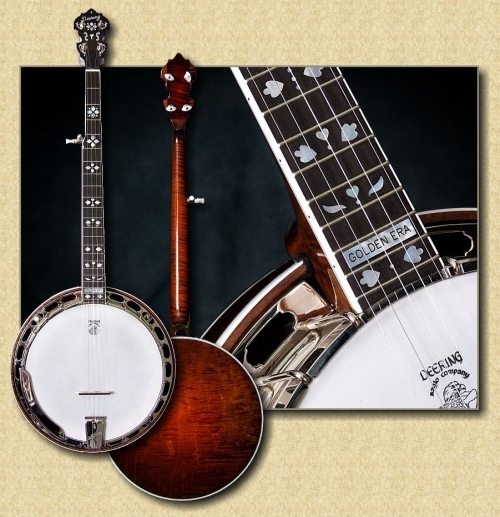 The twenty hole, sand cast, virgin bell bronze tone ring that is fitted to the three ply rock maple rim is an exact replica of the most sought after pot configuration of the famous1930s banjos. The cast one piece resonator flange is the exact zinc alloy with the same mass and design of the original. These are the most important tone ingredients to achieve the classic sound. 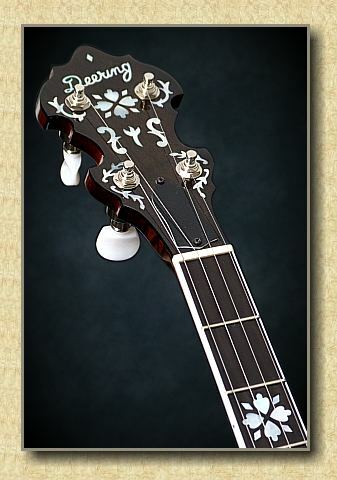 The deep curly maple resonator has internally tapered sidewalls. 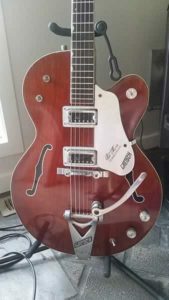 The depth is to the exact specifications of the originals and gives that rich, hollow character that is so desirable by today’s bluegrass musicians. The tapered inside walls of the resonator guide the sound out of the banjos’ pot. This makes the banjo more responsive, clearer and helps highlight the bell like harmonics that banjoists need and want. 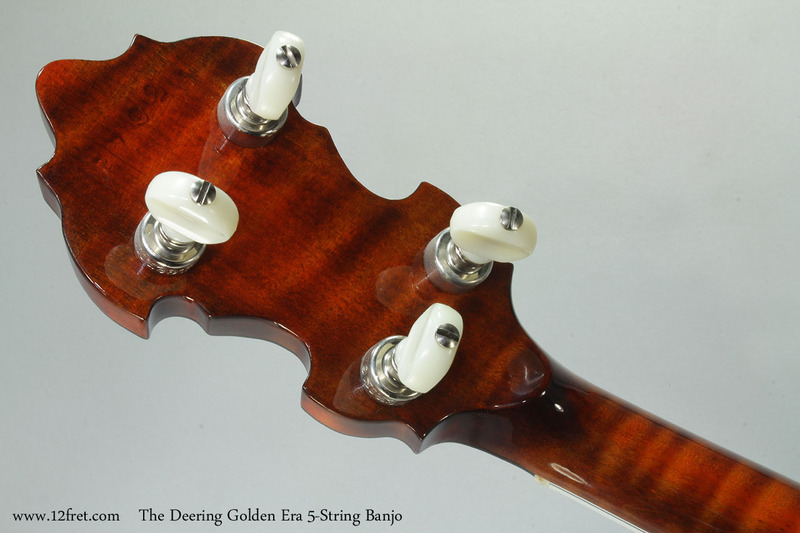 Check out this video featuring the Deering Golden Era 5-String Banjo!